The Fate Of Young Democracies: 9780521494236 Hardcover - LIMEROCK BOOKS INC. The recent backlash against democracy in such countries as Bolivia, Venezuela, Russia, and Georgia poses renewed concerns about the viability of this regime type in the developing world. Drawing on a unique data set of every democratization episode since 1960, this book explores the underlying reasons for backsliding and reversal in the world's fledgling democracies and offers some proposals with respect to what the international community might do to help these states stay on track toward political stability. Rejecting earlier scholarship on this topic, which focused on poor economic performance as the leading cause of democratic reversal, Kapstein and Converse argue that the core of the problem is found in the weak institutions that have been built in much of the developing world, which encourage leaders to abuse their power. Understanding the underlying reasons for democratic failure is essential if we are to offer policy recommendations that have any hope of making a difference on the ground. 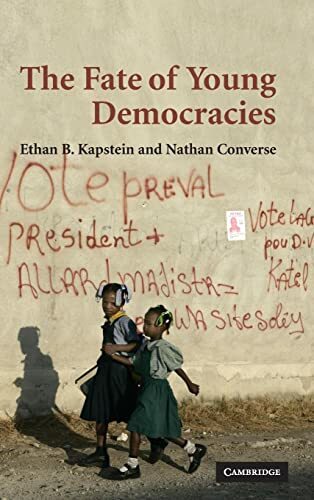 In this book, Kapstein and Converse make use of a unique data base of all democratizations since 1960 to explore the reasons for backsliding and reversal in the world's fledgling democracies. Unlike an earlier generation of scholarship, which argued that poor economic performance was the major cause of democratic collapse, Kapstein and Converse find that the core of the problem lies with poor institutional design.